Hackers have become the greatest fear of governments and businesses around the world. Individuals, on the other hand, are not just afraid of hackers, but they are also afraid of identity theft. 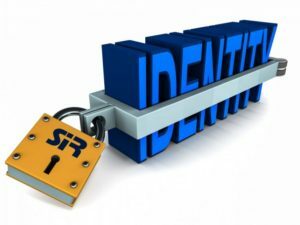 We often see commercials for companies that want to get paid to protect the identity of people. The world acts as if this is something new. Adam and Eve’s identities were stolen when the devil made them believe that wisdom was in food. The devil even tried to hack into God’s system by asking Jesus to worship him (Matthew 4:1-11). Jesus said the elect cannot be hacked, nor can his or her identity be stolen. “For false Christs and false prophets will rise and show great signs and wonders to deceive, if possible, even the elect” (Matthew 24:24). Jesus Christ guaranties that those who trust in Him are safe from spiritual hackers and identity thieves. Consider this: “Therefore, it is also contained in the Scripture, ‘Behold, I lay in Zion a Chief Cornerstone, elect, precious, and he who believes on Him will by no means be put to shame’ ” (1 Peter 2:6). If you would like to receive by email the Thought for the Work Week, click here.